At JMI Insurance, we show each and every one of our customers and clients the same level of respect and attention. When you work with us, you get to experience truly exceptional customer service. We specialize in providing clients with airtight Portland business insurance. Most people either choose to skimp out on their umbrella insurance policy, or they just simply have no idea what an umbrella policy is. Umbrella policies provide extra coverage outside of what your auto and home insurance policies cover. If you are ever sued over an accident or other unfortunate incident, you could be deemed liable. You will have to pay a fortune in legal defense fees, and you could be sued for both your current assets as well as your future earnings. A lawsuit can take away everything you have worked so hard to obtain, and can really have a devastating impact on the future financial stability of your family and/or your business. 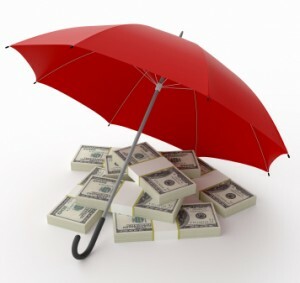 It is recommended that you get an umbrella policy that covers at least your total net worth. That way if you are sued, you will not be liable for the majority of the settlement. We have a team of insurance agents who are experts on umbrella insurance policies. We work with some of the most admired insurance providers in the industry so that we have a plethora of policies to compare. Our skilled insurance agents will find the umbrella policy that meets your financial needs. Being a local and independent insurance agency allows us to work exclusively for our customers. Our insurance agents also provide excellent customer service and support. They will discuss your policy with you either face to face or over the phone. You won’t be placed on hold and we won’t patch you through to an automated system. They will gladly answer any of your queries and address any worries you have about your policy. Our unmatched level of customer service is what really sets us apart from other insurance agencies. Don’t skimp on your umbrella insurance policy; it could come back to bite you. We can teach you anything you need to know about umbrella policies so that you can make an educated decision when choosing a policy. 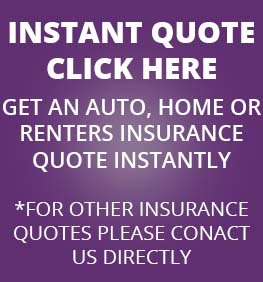 Contact us today by phone or online to request a free insurance quote!